Continuing to paint all the birds from the MINWR list, I finished the ducks!! 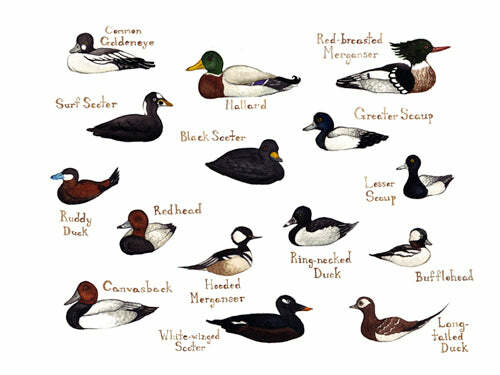 I feel like the ducks are one of the easier families to identify. I was thrilled this week when I saw some birds from far away but knew they were Northern Shoveler's, and could tell a Ring-necked Duck from a Lesser Scaup. 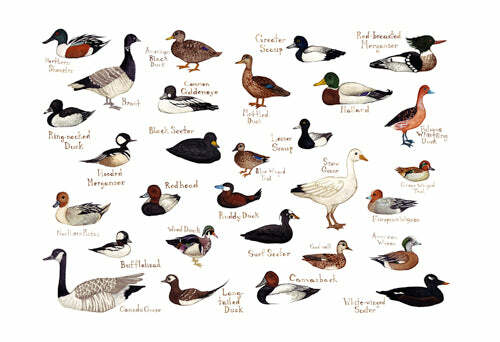 Now, not to boast because there are a couple ducks I saw out there last weekend that I still need to place, and even for the Shoveler (which is an easy one) I had to check the book to be sure. But I am just saying, this helps so much! !